This study from Canada found no reduction in mortality among women diagnosed with breast cancer discovered with or without mammography. Breast Cancer Action immediately raised our longstanding concerns about the lack of clear benefit to screening (as opposed to diagnostic) use of mammography in the general population.2 In responding to the study, the question was rightfully raised about why a study of almost all White women could be extrapolated to say anything about the value of mammography in the African American population. Had I made that easy slip of assuming that studies about White women can be universalized to all women? Had I spoken for women that I do not represent, or women whose experiences I do not share? Should I temper my comments to say I think this research tells us why White women should think more critically before blindly following their doctors’ recommendations that they get regular mammograms? As a White woman, should I stay silent and sit out this fight? As I contemplated these options, I felt the tears well up in my eyes. I remember all too well what silence bought me before. My silence helped cost me my mom and it cost my mom not only her life but her dream. Diane Olds, my beloved mom, was diagnosed with breast cancer in her early 50’s following a routine screening mammogram. At that time, we didn’t know much about Ductal Carcinoma in Situ (DCIS) and the recommended treatment was surgery, followed by radiation and chemotherapy, and then hormonal therapy in the form of tamoxifen. Despite being a women’s health activist, I didn’t know much about breast cancer treatment and we dutifully complied with this recommended regime. As the years progressed, I studied the breast cancer issue, followed the science, and engaged with leading scholars in the field. I began to question whether the mammogram that led to my mom’s diagnosis was necessary and whether the cancer they found really needed to be treated. But I stayed silent. “What good would come from my raising this question?” I asked myself. By this point, my mom had decided not to complete her doctoral degree. She had found it too hard to balance treatment, teaching (she was an elementary school teacher) and data collection for her dissertation. Like many women her age, my mother had already delayed pursuing additional education until after her children were out of the house. She had always wanted to be Dr. Olds, but now, managing her health seemed more important. Furthermore my mom was a proud “breast cancer survivor.” She did the walks, the runs, and her house was filled with pink ribbon paraphernalia. She believed the mammogram saved her life and was grateful. In 2005, ten days after she started complaining of shortness of breath, I lost my mom to an aggressive uterine cancer caused by her breast cancer treatment. 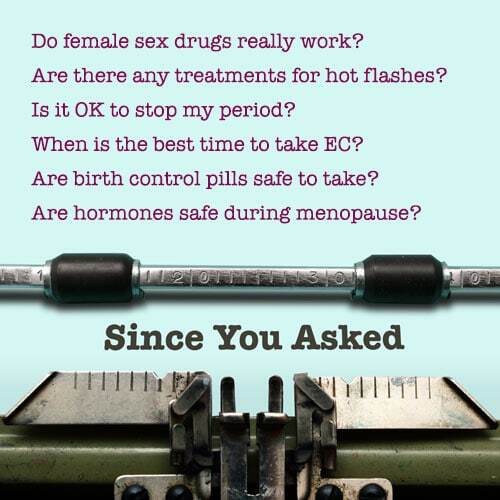 By then, the world knew that ten years of tamoxifen put women at risk of a horrible side effect — uterine cancers. This is why I care so deeply about the over-diagnosis caused by routine screening mammography. While the cause of my mom’s death was a very rare side effect, her death is emblematic of a larger set of harms that come when we turn healthy people into cancer patients. The mantra “early detection saves lives” makes intuitive sense. Find breast cancer before it grows and the outcomes have to be better, right? Wrong. The science just doesn’t support this narrative anymore. This latest Canadian study is one more study questioning the assumption that mammography as a screening tool reduces mortality in the general population. Additional analysis, done both in the U.S. and in Europe, finds that most of the benefit historically attributed to screening mammography is actually the result of improvements in treatments. But aren’t all of these studies of White women and isn’t my mother’s story a story of a White woman, and of White women’s breast cancer? Yes, yes, and yes. But that doesn’t mean that Black women should think the story is different for them. Yes, Black women aren’t included in most of the studies that show harm from mammography. But ironically, adequate numbers of Black women were not present in the studies that showed mammography might be beneficial either. Rather this latter idea was just accepted on faith with the hope that perhaps this tool could stem the higher mortality rate from breast cancer among Black women. So here is my outrage. Black women, like White women, like all women, got sold a bill of goods. They were told that screening mammography would save their lives. Breast cancer in Black women appears earlier and is more aggressive. So it makes sense that we would think mammograms would be more beneficial in this population, even if they are not helpful in the larger population. But the evidence is just not there. At the population level, the screening rates for Black women have risen dramatically in the last decade. But the mortality rate from breast cancer has not reduced correspondently. And mammography is very bad at detecting cancers in premenopausal women, so more application in younger women doesn’t help either. I am outraged that even after this many years of knowing the limitations of mammography and the reality of higher mortality rates of breast cancer in Black women we still don’t have a better screening test and we haven’t figured out how to treat the bad breast cancer – the one that appears earlier and presents more aggressively, the one that Black women get more often. So why do some hold onto mammography as critical to Black women’s health with such passion? The answer is really two-fold and has little to do with breast cancer and a lot to do with structural racism. Black women have the worst health outcomes on almost all health indicators. The average life expectancy for a Black woman is five years less than for a White woman. And mammography has been the doorway into healthcare for many Black women, especially for women in their 40s and 50s who have higher rates of being uninsured than their younger counterparts. The campaign to get Black women mammograms brought health care resources to communities long ignored by the public health sector. Free mammograms were accompanied by visits to the doctor and blood pressure checks—perhaps an even more critical healthcare intervention for this group for whom heart disease and stroke are major causes of disability. And funds were poured into communities to support community health educators who taught women not only about breast health but also about nutrition and exercise, information that contributes to health improvements of all kinds. So I understand that recommending fewer mammograms is not a neutral issue and that overall health status is at risk when mammograms are under attack. But I don’t think the solution is to continue to push mammograms for Black women. We need universal access to quality primary care; we need financial support for community health workers; we need to acknowledge that structural racism gets under the skin and contributes to poor health outcomes. However, these goals just shouldn’t be part of a mammography agenda. And I won’t stay silent about mammography in Black women any longer. There are many amazing Black women in my life who serve as my friends and mentors on all matters in life. I will look to them to tell me if I am making the mistake of speaking on their behalf, rather than what I think I’m doing today, which is speaking on behalf of good science for all women. However, in this case, if I remain silent I would just be exercising a privilege of a different kind.